Day #5: Wear Your Confidence Coat! As you add the required layers to ensure you’re warm enough this winter, make sure you’re also wearing your ‘Confidence Coat’ at the start of each day. This isn’t about giving yourself an excuse to go shopping! It’s about making a conscious decision to give yourself an extra confidence boost so you’re more capable of dealing with the season’s additional pressures. When we’re feeling confident, we have more energy, are able to deal with difficult situations more easily, and we improve our ability to be resilient. Wearing your confidence coat will mean different things for each of us. For example, it might be about smiling more, or being more assertive. In ‘Want more confidence in the workplace?’ I suggest a few ideas for building confidence. Or you might like to look at ‘Are you making the most of who you are?’ for more ideas and how to gain useful feedback to increase confidence levels. How does your ‘confidence coat’ make you look to others? Sometimes it’s hard to say “no”. We may want to, and feel we have a right to, yet we still find ourselves saying “yes” or “OK” and taking on the associated pressures as a result. I’m going to put this in the context of work, for this blog, but some of the principles / tips can equally be applied out of the workplace. Under what circumstances might we need to say “no”? Perhaps you can think of more to add to this list. So we know we sometimes need to say no, but why don’t we? Perhaps you have a favourite from the list above? Or have other reasons? In my role of coaching / training in the workplace, the most common reasons I come across are the top 3 on the list, and the 7th. Being respected for saying no involves acknowledging your own feelings and rights, whilst responding respectfully to the other person. It involves being assertive, standing up for yourself whilst not attacking or blaming. “Thanks for thinking of me, but I already have ______ to do”. Tip 3 – Delay Experience has shown that if you ask the person to come back later, they usually find a way to resolve their problem in the meantime. Often people ask you to do something as a ‘knee-jerk’ reaction to feeling unable to sort it themselves. They can sound as if they urgently need help, but beware that this could be their way of getting things done by proxy! Having worked in a highly stressful environment for many years I understand that saying “yes” can be a good way to help each other, develop team spirit etc. But we need to know where to draw the line. If you’re the one doing all the giving, and this isn’t reciprocated, it can lead to unnecessary pressure on you, which has a knock-on effect on your own productivity levels. Have you any examples of how you say no to your colleagues? 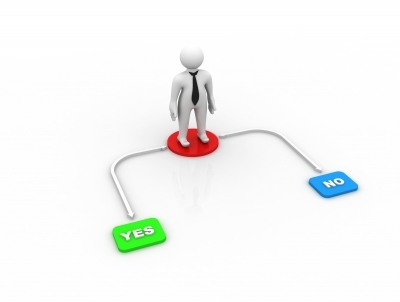 Have you seen others in the workplace effectively say no?